A Southern Grace: happy candy day! Happy Halloween, folks! 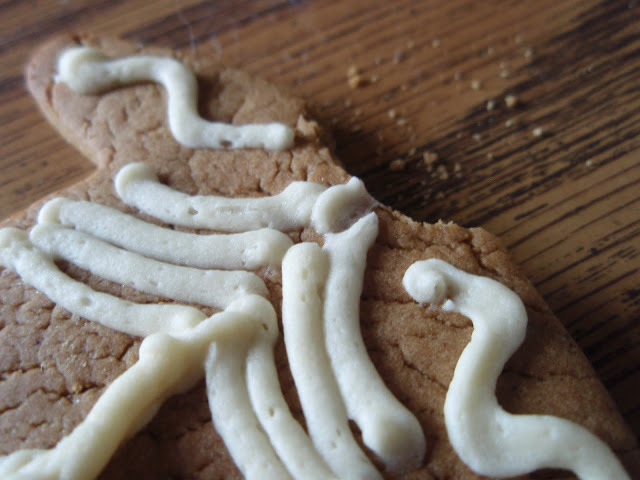 If you think gingerbread is tasty, check out my skeletons over on Key Ingredient! Headless skeletons at that:D Happy Hallowe'en. Looks delicious as always Grace! The skeletons are so cute. Happy Halloween! Cute cookies! Happy Halloween, my dear! Love that his head is gone! So it's not just me and Ozzy that like to bite the heads off...Happy Halloween Grace. Very cute cookies! Happy Halloween. Gingerbread skeletons are a wonderful idea, yours are so cute. And lemon icing? Yes please! Very cute, or should I say, ooh scary! Looks like that one got caught! I love gingerbread! Your cookies look spooky & delicious. We make gingerbread at Christmas. Gingerbread skeletons are a great idea. brilliant idea this gingerbread skeletons! After a month off from blogging (for my wedding) your blog was the very first I wanted to check up on :) love the skeleton idea! Cute idea Grace; they also sound delicious! Clever decorating, Grace! They look tasty. That is one of the best cookie ideas I've ever seen. Your skeleton looks terrific. I'll have to check out the link! Well done. What an original creation. The skeletons look fantastic. Hope you had enough for all the trick n treaters. I just saw the post, beautiful looking cookies. My son is crazy about skeletons....I have to make these for him! Lucen exquisitas querida grace como todas tus recetas,las adoro una verdadera delicia,abrazos grandes hugs,hugs.